Economist Mohammed Shtayyeh, a member of the West Bank’s dominant Fatah party, was named Palestinian prime minister on Sunday in what the rival Hamas group that runs Gaza called a blow to unity efforts. The appointment was announced six weeks after Rami al-Hamdallah tendered his resignation from the post and the resignation of his unity government to President Mahmoud Abbas, underscoring the failure of Hamas and Fatah to implement a power-sharing deal. 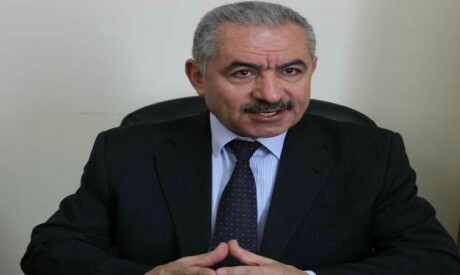 Speaking to Palestine Television, Shtayyeh said he would immediately begin consultations with factions belonging to the Palestine Liberation Organization, which Abbas heads, on forming a new cabinet. Hamas, which has controlled Gaza since seizing the enclave from Fatah in 2007, is not a member of the PLO. Ismail Rudwan, a senior official in the Islamist group, said the creation of “a separatist government ... will prolong Palestinian division”. Hamas and Fatah signed a reconciliation deal in November 2017 calling for Abbas’ West Bank-based Palestinian Authority (PA) to resume governing in Gaza and take control of its crossing points into Egypt and Israel. However, disputes quickly arose on how to implement the agreement. Another sticking point has been policy toward Israel, which has occupied the West Bank since the 1967 Middle East war and maintained tight control of Gaza’s borders since withdrawing settlers and troops from the area in 2005. The PA has been squeezed by steep US aid cuts, with the cash crisis exacerbated by a dispute with Israel over the withholding of some 5 percent of the monthly tax revenues it transfers to the Authority. Israel said the money it is holding back is used by the PA to pay stipends to families of militants killed or jailed by Israel. The PA has refused to accept any tax transfers until those funds are restored. Shtayyeh, seen largely as a technocrat, most recently headed the Palestinian Economic Council for Research and Development, a donor coordination and advocacy body established by the PLO in 1993.